There’s a steel sculpture painted in psychedelic colors just two blocks from our home in the Exchange District called Grain Is King. 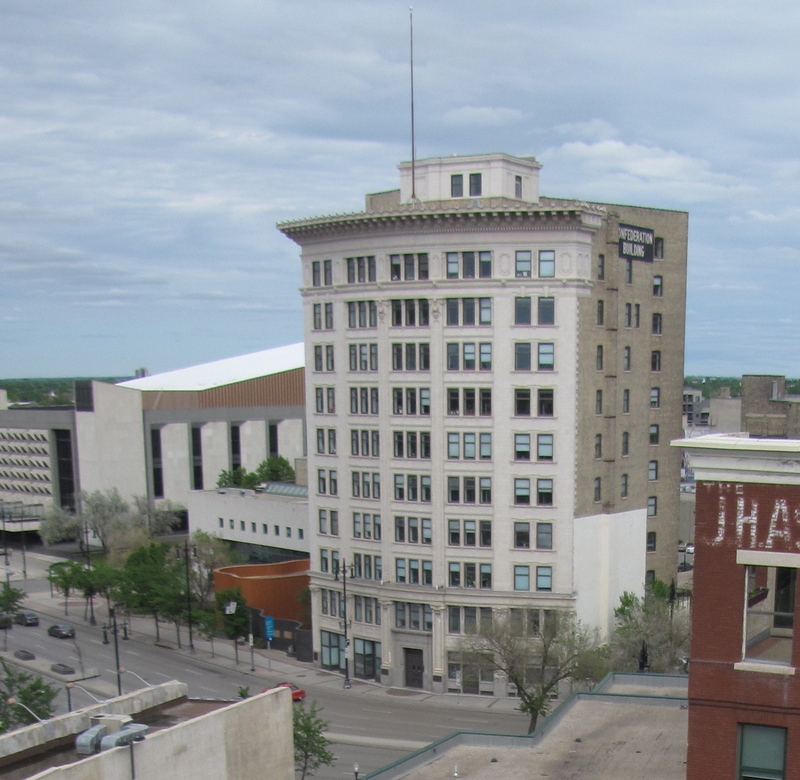 It is actually a very appropriate art work to have in the Exchange District since our area of the city gets its name from the fact that the Winnipeg Grain Exchange was thriving here at the turn of the century. I’ve gone by the sculpture hundreds of times but I think what made me take notice of it on Saturday was the smell! The lilac bushes all around the art piece were in full bloom and full fragrance. I stopped just to inhale deep breaths of the lovely aroma and then I decided to take some photos of the sculpture. The man responsible for the sculpture is Jordan Van Sewell. He’s been working as an artist for thirty years and cites musician Frank Zappa and comic book creator Charles Schultz as influences. Unfortunately there is a bit of graffiti on the back of the sculpture but luckily Van Sewell’s multi-colored exterior provides great camouflage so the graffiti is hardly noticeable. The sculpture Grain is King made me think of this photo my Aunt Mary took of my grandfather, Diedrich Peters, who was a grain farmer in southern Manitoba. The grain he grew no doubt passed through Winnipeg many times on railway cars. Grain is King is a good reminder of the agricultural products that were the foundation of the economy of the city of Winnipeg for so many years. I got a chance for a bird’s-eye view of the heart of the city on Saturday! 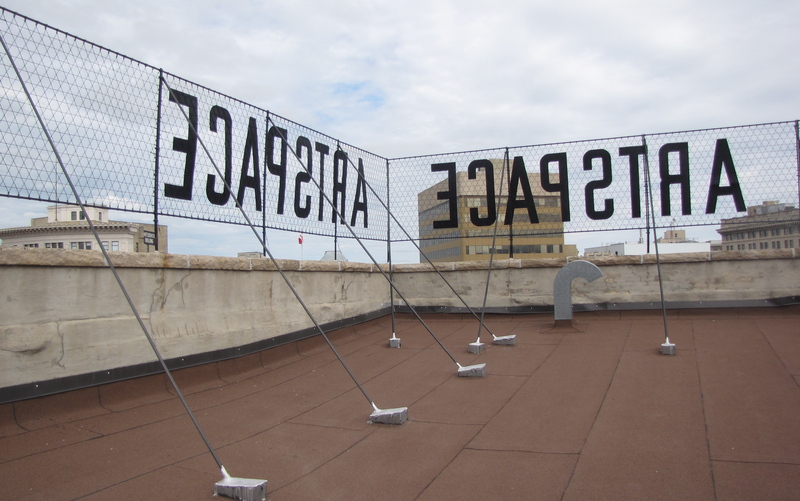 As part of the Doors Open Winnipeg event the Arts Space venue at 100 Arthur Street allowed access to their roof top. Visitors were free to walk around and take photos of the Exchange District from a very unique point of view. 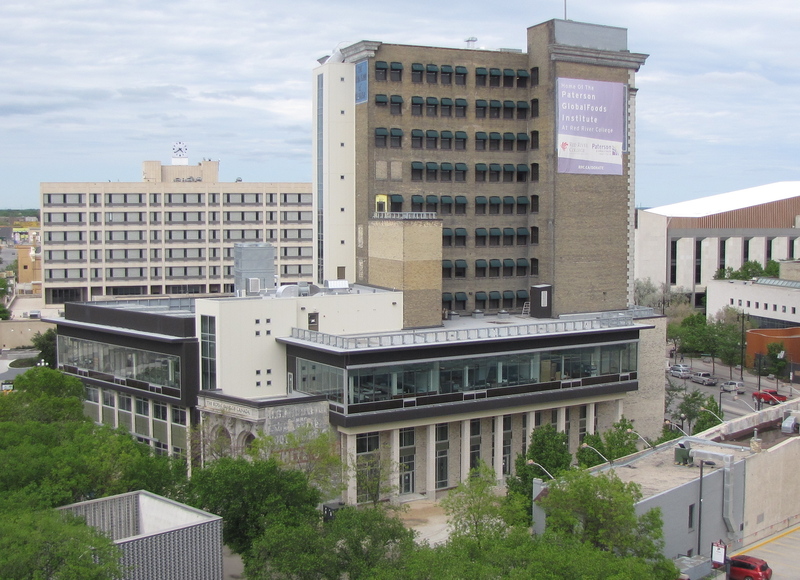 This is the Crocus Building which houses the Crocus Investment Company, the Manitoba Conservatory of Music and the Winnipeg Contemporary Dancers. It used to belong to the Ashdown Hardware Company as you can see from the white letters still etched on the brick near the roof top. 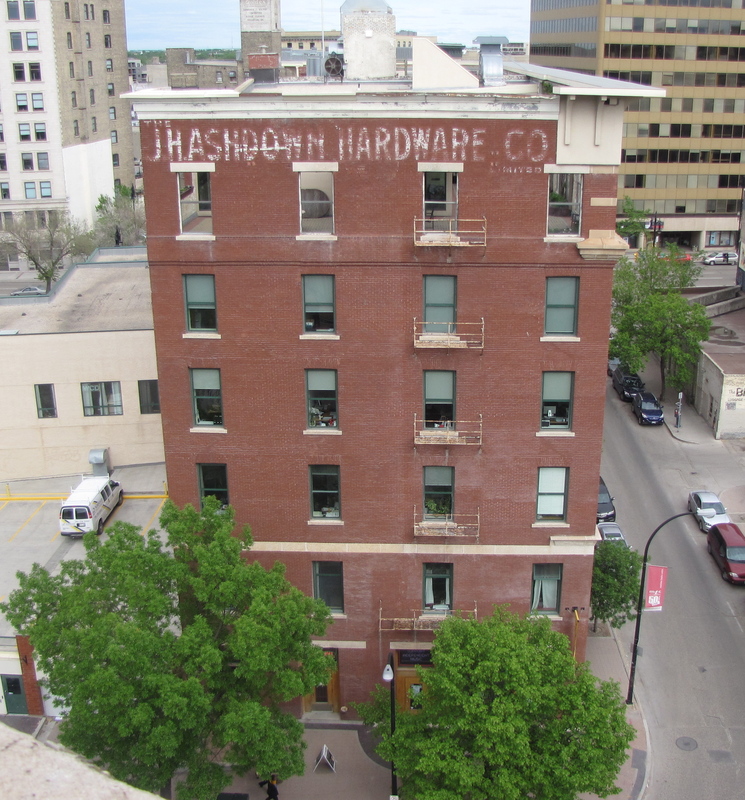 Mr. James Ashdown, a former Winnipeg mayor built it in 1905 to use as a hardware store. It replaced an earlier building erected in 1870 which burned down in 1904. I live in a condo in the Ashdown Warehouse where Mr. Ashdown stored the goods he sold, not only in Winnipeg but all across western Canada. Here is my building tucked in between two other buildings. The Cube is the focal point of the park in Old Market Square a popular venue for outdoor summer concerts in the Exchange District. The Cube is a performance stage that opened in 2010 and was built at a cost of $1.2 million. 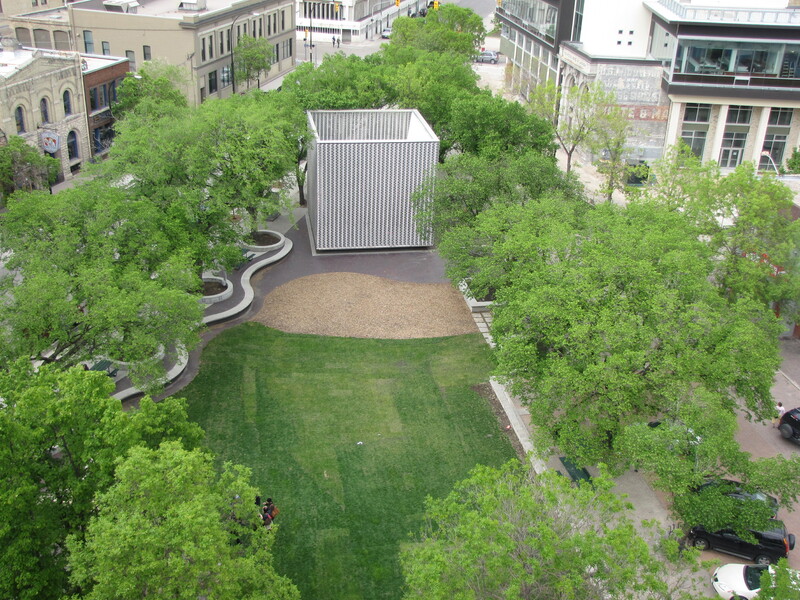 During the Winnipeg Jazz Festival and the Fringe Festival the park is alive with performers and people. The distinctive Confederation Building was built in 1912 in the Chicago style of architecture and was occupied by the Confederation Life Association for over 50 years. The popular Kings Head Pub and Eatery is housed in a building erected in 1896 as a trading centre for hides, wool and furs. In 1906 it became home to a German language press which published 20,000 copies of the paper Der Nordwestern weekly. After serving as offices for an airline and a radio and television wholesaler it became a restaurant in 1983. The new Red River Community College Paterson Global Foods Institute will be housed in the old Union Tower Building which is currently being renovated and added on to. The new facilities will have a student residence and be home to the college’s hospitality and culinary programs. 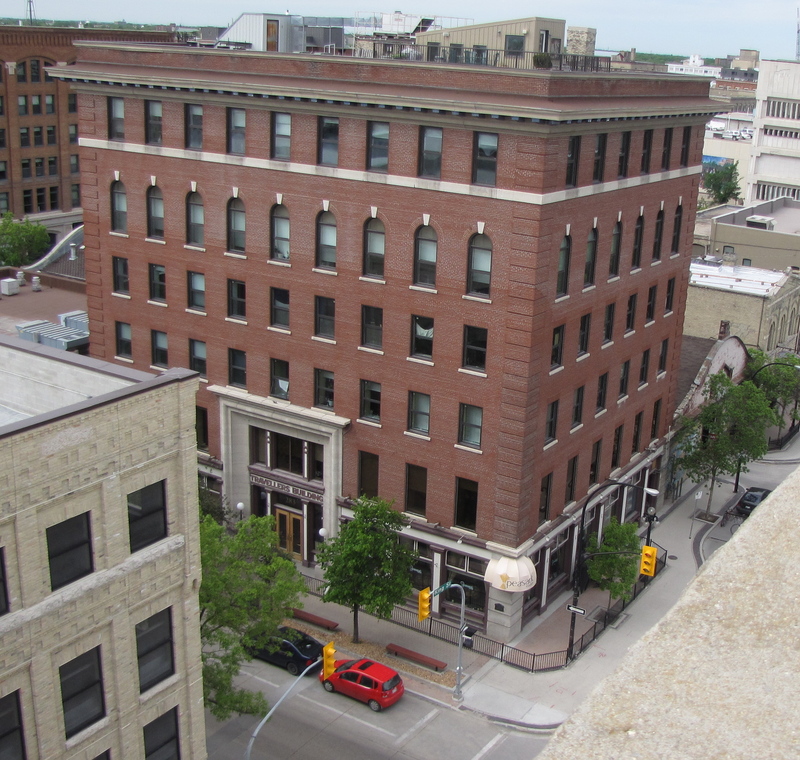 I am looking forward to having the students living in the Exchange District and adding to our resident population. The facility will also house a restaurant that will be open to the public. The Travelers Building was constructed in 1907 as a headquarters for a union of traveling salesmen that was founded in 1882. It housed offices, meeting rooms, lounges and recreation facilities including a Turkish bath. In 1954 it became the home of federal government offices and in 1976 was redeveloped into a shopping center with specialty shops, galleries and a restaurant currently housing the Peasant Cookery. I have been doing lots of walking in the Exchange District since moving here in July and have seen much of it from on the ground. Thanks to Arts Space I was able to get a view from above on Saturday that gave me a different perspective on the neighborhood I now call home. The first time I walked into the huge room with high ceilings at the Winnipeg Art Gallery where artist Stephen Hutchings‘ installation Landscapes For the End of Time is displayed my mouth literally dropped open in awe. Hutchings wanted the paintings to be life-like and indeed they are! You feel like you could walk right into them and head off on an adventure. Hutchings said he’d like people to come away from looking at his Landscapes For the End of Time with a sense that life is a mystery and we are all a small part of the unknown. His paintings certainly had an air of mystery about them for me. I found myself looking at each one and thinking ” I wonder…………….” and imagining what was under the water, or behind the trees or down the road or over the hill in each gigantic landscape. By reading the book that accompanies the exhibit I learned Hutchings created the 18 feet wide and 8 feet high pieces by first taking photographs. After manipulating the images on the computer he projected them onto a canvas and then using charcoal blocked in his landscape. He used an eraser to give the paintings varieties of light and greater sharpness. Then he applied a color glaze and eventually used paper towels to take away some of the color and add definition. Hutchings says his inspiration for the Landscapes for the End of Time came from a piece of music by the French composer Olivier Messiaen called Quartet For the End of Time. Messiaen who played the piano for the premiere of the quartet, wrote it while he was in a German prison camp Stalag VIII during World War II. He chose the instruments he did, because they were played by three brilliant fellow musicians who were also in prison with him, clarinetist Henri Akoka, cellist Etienne Pasquier and violinist Jean Boulaire. I just finished reading For The End of Time by Rebecca Rischin which tells the story of how Messiaen wrote the quartet. It was possible thanks to a music loving prison guard named Karl- Albert Brüll who brought him paper and ink and excused Messiaen from work detail so he could hide out in a latrine and compose the quartet. It premiered on a bitterly cold night in the barracks theatre to three hundred or so prisoners and German officers. Later three of the musicians were released from prison because of Brüll who doctored their documents. The clarinetist Akoka could not be released because he was Jewish, but later managed to escape by jumping off the roof of a moving train. Messiaen a devout Catholic based his famous quartet on a passage from the book of Revelation 10:6 which in the King James version ends with the words …..there should be time no longer. Messiaen’s widow says he was enthralled with the idea that at some point there would be no time…….that time and eternity would merge. Hutchings’ paintings have a sort of timeless quality about them. It is hard to determine if they were painted to depict an era in the distant past, the present day or some point in the future. Hutchings has said he wants his landscapes to show the continuity of life and time. In Rischin’s book she quotes Messiaen as saying that whenever he hears music he sees colors. Two of the colors that came to mind when he wrote Quartet for the End of Time were gold and brown. Interestingly gold and brown are the main colors in Hutchings Landscapes for the End of Time as well. Landscapes for the End of Time is an art installation well worth seeing for its beauty, mystery and grandeur alone; but it is made all the more intriguing because of the story behind the music that inspired the paintings. The street that runs behind Winnipeg’s Ashdown Warehouse where I live, is named after an orphan from Hungary whose father was shot in Germany and whose mother and brother were gassed at Auschwitz. John Hirsch Place honors one of the founders of the Manitoba Theatre Centre, the first regional theatre in Canada. John Hirsch came to Winnipeg in 1947, at age 17 as a war orphan and was taken in by Alex and Pauline Shack . He remained a close member of their family till the day he died of AIDS in 1989. Hirsh who is immortalized in this statue outside the Manitoba Theatre Centre, went to St. John’s High School and the University of Manitoba while working as an office boy for a real estate agency. I first heard Hirsch’s life story from writer and politician Roland Penner who was my teacher in a class called Winnipeg Fact and Fiction at McNally Robinsons Community Classroom. 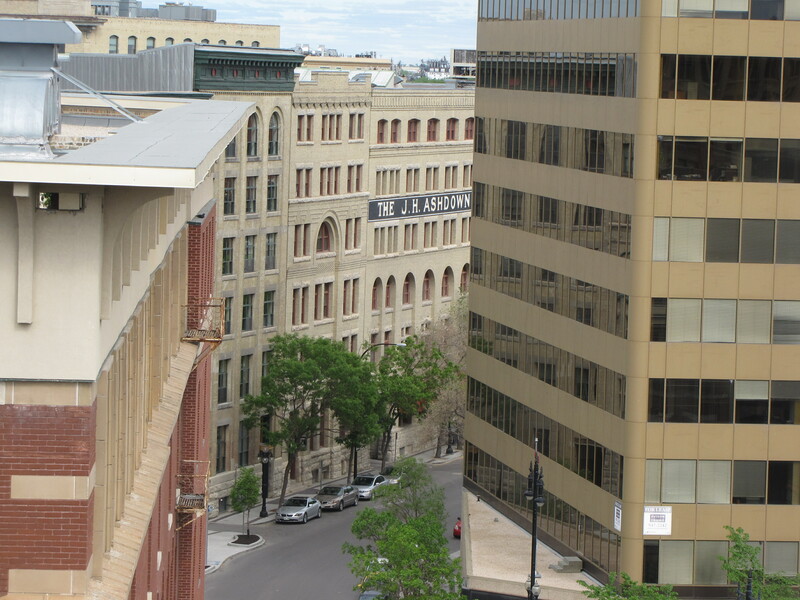 Hirsch was in the drama club at St. John’s and directed plays at the University of Manitoba. John’s adoptive family, the Shacks were skeptical when he said he wanted to have a career in theatre, but he got a grant from the Junior League of Winnipeg and created a puppet show to take to schools and community clubs. He and a friend got the City of Winnipeg to sponsor them to put on three musical comedies at the band stand at Assiniboine Park one summer, and then he landed himself a gig as the first paid artistic director of Winnipeg’s amateur Little Theatre. This led to a job with CBC television when it was launched in 1954. After studying in London John came back to Winnipeg in 1957 and founded the Manitoba Theatre Centre (MTC) with Tom Hendry. Hendry is sitting on the chair in front of Hirsch in this art piece called Imagine created by Ruth Abernathy that is just outside the present day MTC building. MTC was where well-known Canadian actors like Martha Henry, Len Cariou and Gordon Pinsent had their start. In a review of a biography of Hirsch called A Fiery Soul, National Post writer Robert Cushman quotes Hirsch as saying he was part of four mafias, Jewish, Hungarian, homosexual and Winnipeg. In the Globe and Mail review of the same biography, reviewer Keith Garebian uses the mafia quote as well, and adds that Hirsch often behaved like a ‘godfather’. He had hot-tempered outbursts, bullied his actors and skillfully manipulated events for his political and financial advantage. Despite this, many actors admired him, and were honored to work for him. In an interview for the Theatre Museum of Canada, actress Martha Henry calls Hirsch a genius. John Hirsch eventually went on to jobs at the Stratford Shakespearean Festival, The Lincoln Center Theatre in New York and directed plays at the Shaw Festival, and at theatres in many Canadian and American cities. He was accorded honorary doctorates at the universities of Manitoba, Toronto, Victoria and Winnipeg and was an officer of the Order of Canada. He is perhaps best known for his play The Dybbuk. The main stage of the Manitoba Theatre Centre is named after John Hirsch as this banner outside the theatre attests. Many consider him Canada’s greatest director. I’m glad John Hirsch founded the Manitoba Theatre Centre. I have seen dozens of plays there in the past. Now I love living so close that I can leave our condo just minutes before the curtain is about to rise, pop home for a drink at intermission and be home and in bed shortly after the performance. When my husband and I were in university we served as volunteer ushers at MTC so we could get into the shows for free. We’ve been thinking that being MTC volunteers is something we might like to do again now that we’re retired. If you liked this post you might also enjoy………….. The water park the mayor of Winnipeg is proposing be built right across the street from the new Humans Rights Museum has been soundly criticized by the museum’s architect Antoine Predock. The Winnipeg Free Press reports today that Predock has sent a letter to city council saying the water park will trivialize the historic nature of The Forks district and be at odds with the cultural ambience of the area. 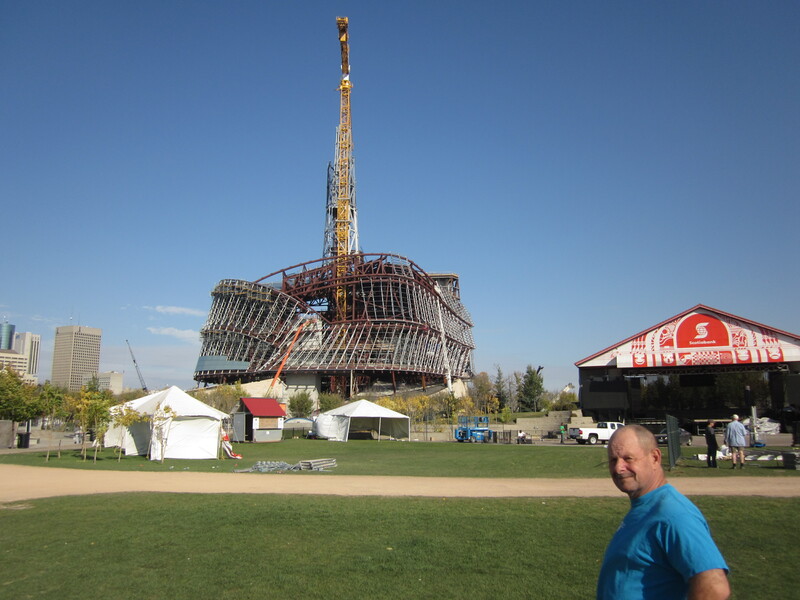 My husband Dave posed in front of the Human Rights Museum last October. We’ve been watching its progress carefully. I am a member of the Residents of the Exchange organization and when the water park announcement was first made our chair John Giavedoni sent out an e-mail asking us to contact our city councilor to express our opinions about the construction of a water park in our area. At a meeting on Tuesday night of the residents association it was clear the majority of people present had not been excited about the water park proposal and had conveyed that message to City Hall. They were happy their voices had been heard and the project had been tabled for the time being. I had not sent a letter because I wasn’t exactly sure how I felt about the project. 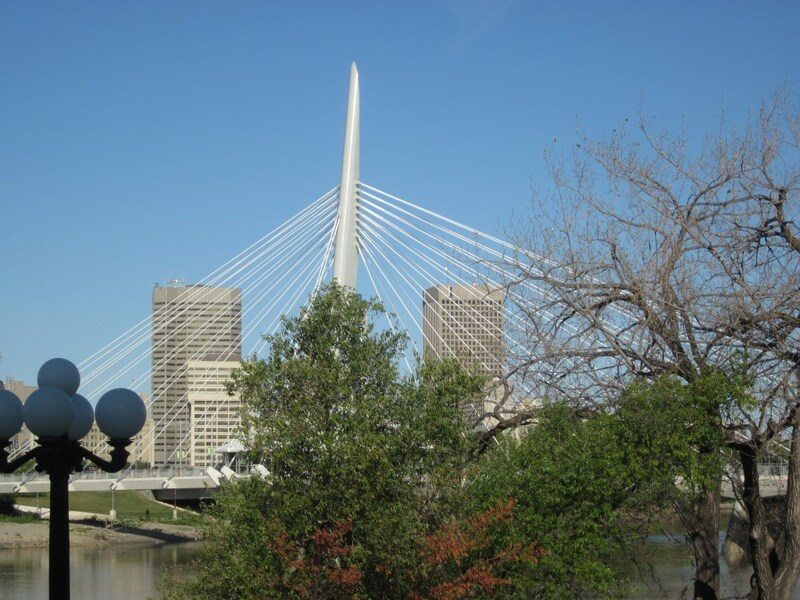 Today I had just walked over the Provencher Bridge on my way home from visiting my Mom at St. Boniface Hospital when I was approached by a news woman with a microphone and her camera man. After asking a few questions and realizing I was an Exchange District resident the woman requested an interview. I agreed somewhat hesitantly. When the camera started to roll she asked me how I felt about the proposed water park. Was the architect right that it would interfere with the cultural and historic nature of the area? I had to think fast. I said I wasn’t sure. I would need to see the plans for the water park before I could decide whether it would be an eyesore or fit in with its surroundings. I said I was a grandmother and when my grandson came to visit me in Winnipeg in the future I’d look forward to taking him both to the Human Rights Museum and the water park. 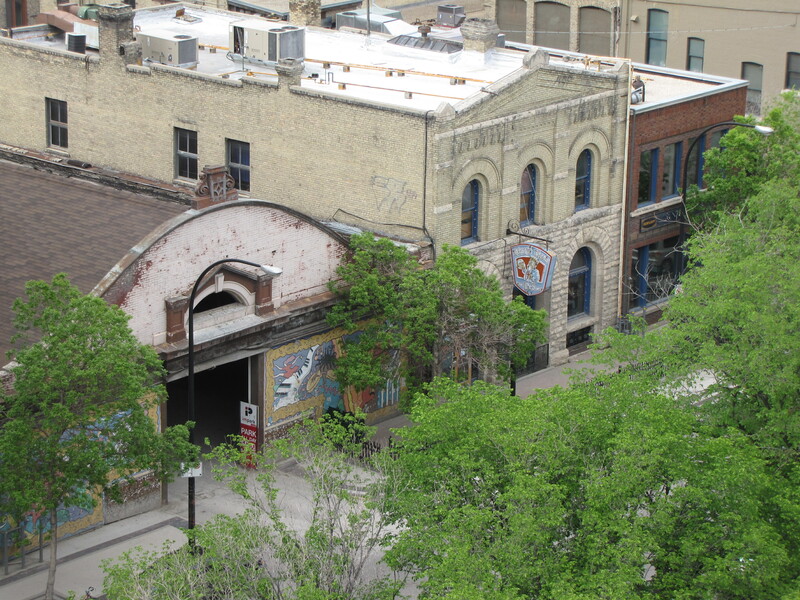 I said there was already lots of culture in the Exchange District– museums, art galleries, concert and drama spaces and perhaps other kinds of venues might add variety. I’d said I’d also like to know what plans were being made to insure the water park was accessible to as many Winnipeg citizens as possible. Perhaps having a water park down town would encourage people to visit the Human Rights Museum before or after their visit to the water park. After the interview the news woman asked me to walk away down the sidewalk so they could film me as I made my way past the museum and I forgot to ask her what television channel she was from and when the news item might be aired. So if you see me on television tonight would you please let me know! Aren’t You Scared To Live in the Exchange? 20,000 people in Canada are part of car share initiatives. Citizens share a fleet of 700 cars in Montreal. Twelve Canadian cities, including Winnipeg have car shares. On Tuesday night I attended a meeting for residents of Winnipeg’s Exchange District about car sharing. Beth MacKenzie from the Peg City Car Co-op explained how their organization works. They own three cars which are parked at different spots in the Osborne area. People who have memberships in their co-op can register and pay online to reserve the cars. A special electronic key fob lets them into the car and when they finish using the car they return it to the parking spot. Safeway has donated space for parking two of the cars on their grocery store lots in the area. Although people pay $500 to join the co-op and 40 cents per kilometer and $3 per hour to use the cars, they still save plenty of money compared to owning and maintaining their own cars. The $500 is refunded when you leave the co-op. Co-op staff makes sure the cars are clean, full of gas and serviced. Car sharing is for people who like to walk, take the bus or bike but occasionally need a car. It can also be for families who have only one car, but from time to time need two cars. A short CBC documentary about car sharing says many developers of condominiums and apartments are now giving a car share membership to people who buy units in their buildings. They provide a car to share and reserve spaces in their parking lots for the car share vehicles. 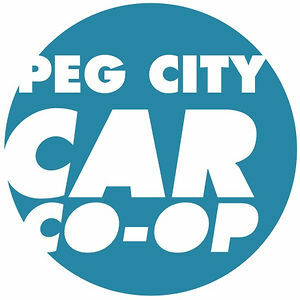 There are 89 members in the Peg Car Share Co-op in the Osborne area which first began operating in June of 2011. If we want to have our own co-op here in the Exchange District we would need at least thirty interested people to get started with one car. To become a member you must be 21, have had a clean driving record for 3 years and no DUI charges. All drivers go through an orientation to familiarize them with the car co-op and there are penalties for not returning the car on time. Although in 90% of cases cars are reserved within four hours of being used, you can reserve them up to thirty days ahead of time. An added bonus is that the Car Share Co-op has a deal with a car rental agency for a 15% discount for co-op members if they need to rent cars for longer trips. Beth MacKenzie from the Peg Car Share showed us videos about some of their users; an artist who uses the car to pick up canvases, someone who reserves the car to go and visit his parents in the suburbs, go out on dates and buy groceries and a woman who decided to car share rather than purchase a vehicle so she could save money to buy a house. I think car sharing is a great idea, not only is it economical but it is a way to do our part to reduce emissions that contribute to air pollution. According to Car Sharing Canada each vehicle in a car share co-op replaces eight private cars on the road. 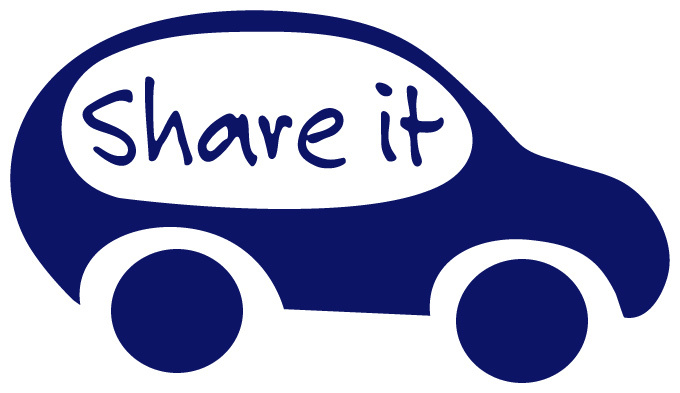 As they say on the Halifax Car Share site –car sharing is lean, green and easy!